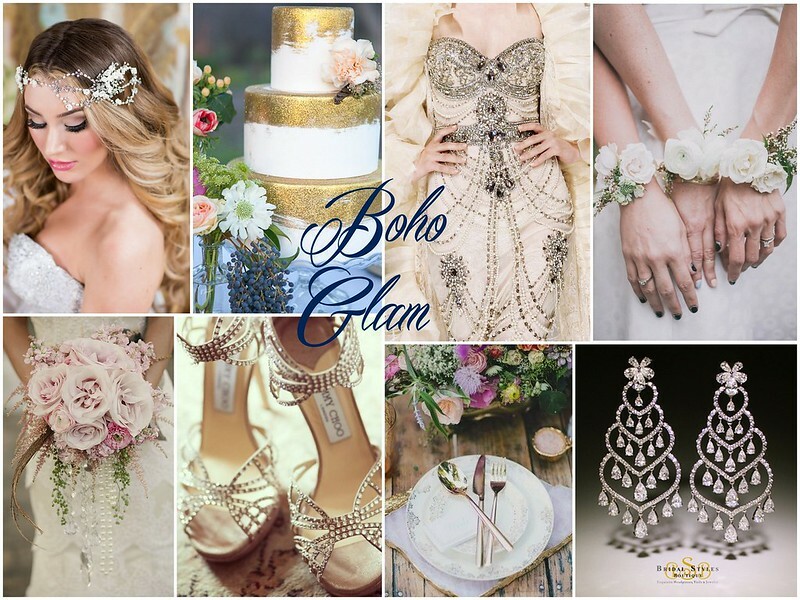 Playful, quirky, exotic…all words that come to mind when thinking about bohemian style. When combined with glamour (something synonymous with bling, which makes our hearts sing), the look becomes one that conjures a modern gypsy princess (who does all her shopping on 5th Avenue), or a free-spirited, well-traveled fashionista. Capture this aesthetic that so bewitchingly marries untamed and chic starting with your wedding day look. Choose a gown with fabulous, unconventional style, then finish it with complementary accessories, such as a crystal-kissed circlet and striking chandelier earrings. Using your aisle style as muse, mix in details that whisper of travels across the globe (by private jet, of course), dances in the moonlight, and languorous summer days. 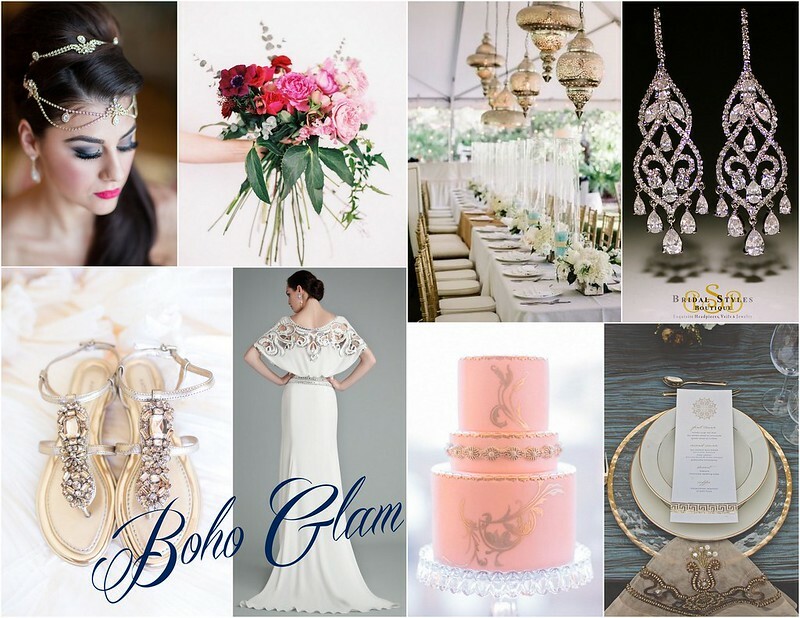 Complete your boho glam bridal look by visiting us in Brooklyn at our bridal accessory boutique. This entry was posted on Wednesday, May 28th, 2014 at 10:22 am	and is filed under Inspiration. You can follow any responses to this entry through the RSS 2.0 feed. You can skip to the end and leave a response. Pinging is currently not allowed.